A powerful, reliable workhorse offset press, the RDP 260 was installed in May 1992. The original configuration consisted of a splicer, four conventional ink units, numbering units, all processing units and folder. 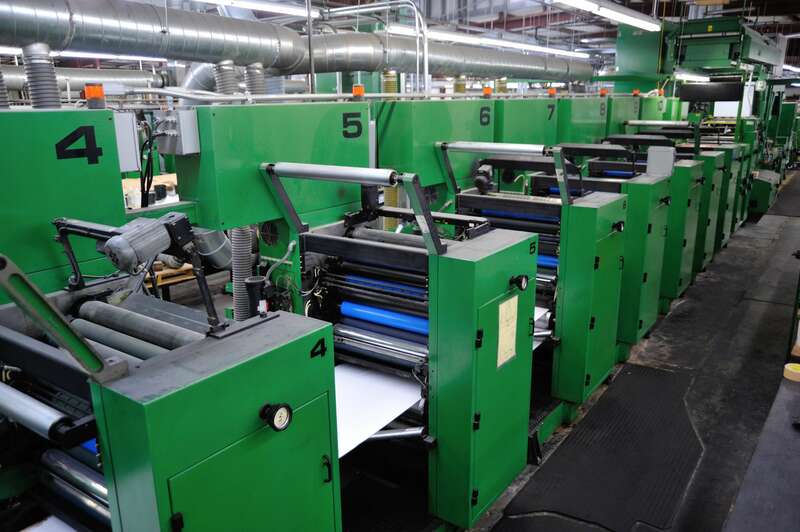 In 1996, the press was modified to included six additional UV print units, Completely rebuilt 4 existing print units for UV, added scratchoff/varnish unit, added RF and UV dryers. It has been in continuous use since installation and has been carefully maintained. In 2012, an ASI hot air drier was installed to dry aqueous coatings. A double-sided Megtec silicone applicator was also added.